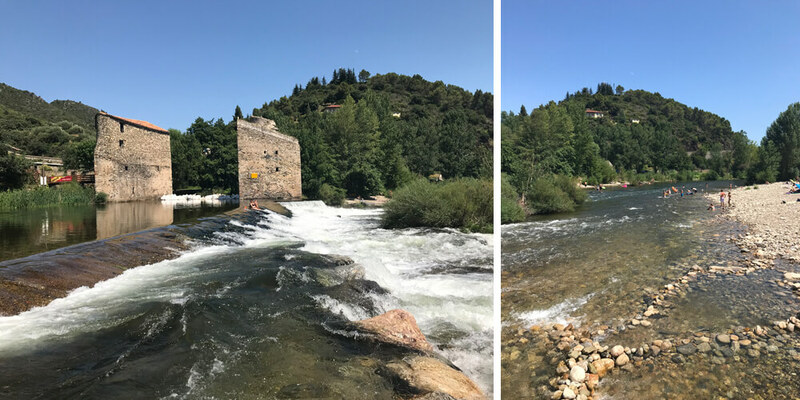 Always on the look-out for hidden gems, I almost forget to write about my favourite summer swimming spot: Roquebrun. 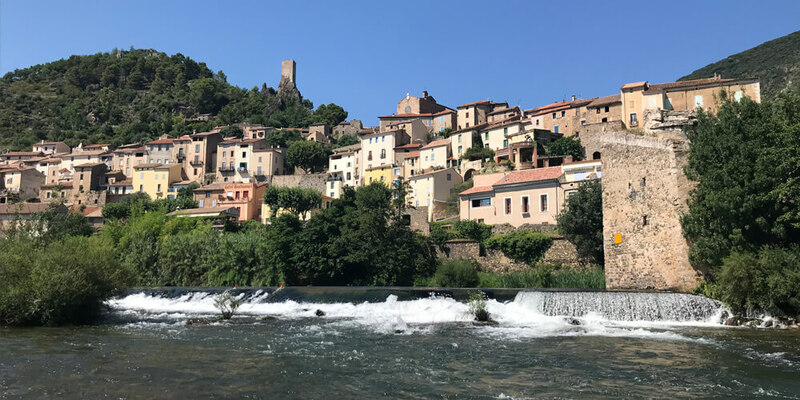 My family and I love to take a dip in the refreshing Orb River with the scenic picture-postcard view of Roquebrun on the background. 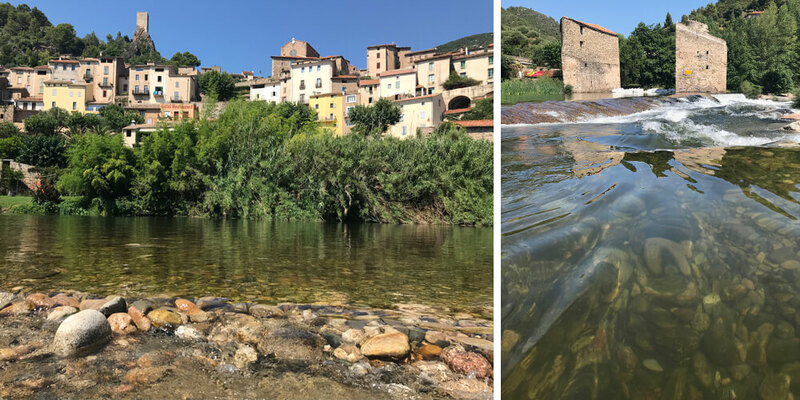 When arriving from Saint-Chinian or Cessenon-sur-Orb, you reach the pebbled beach by turning right just before the bridge of Roquebrun. In summer you can park your car for 3 euro, and you can buy an ice cream and some drinks. On the left side of the bridge, you can rent out canoes and stand up paddleboards (sups), you can read my previous posts on this here and here. 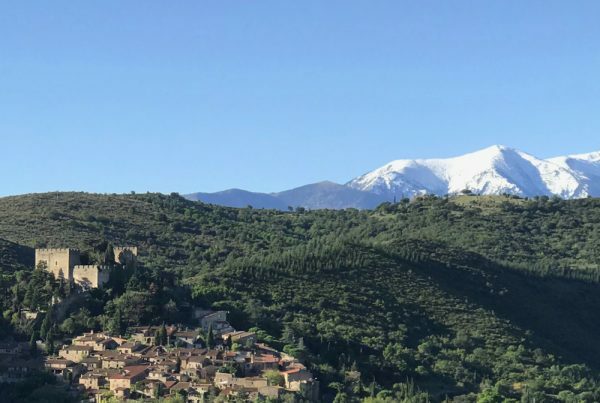 Locally known as the Nice of Hérault, Roquebrun benefits from a microclimate. We love to go here to escape the crowds on the beach. 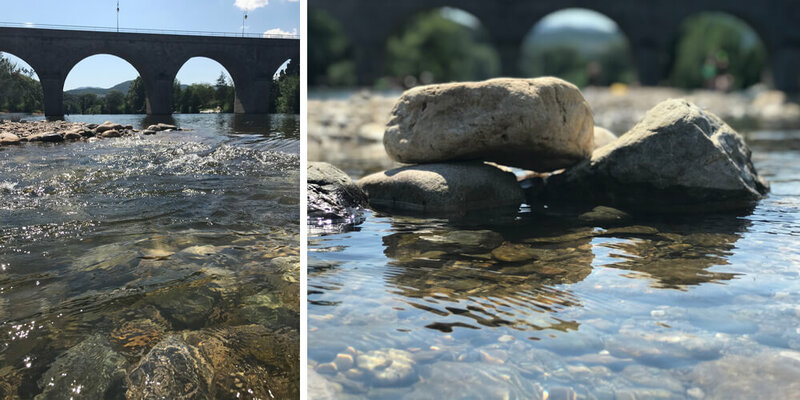 The river stays cool, even in summer, and we swim while our children catch our evening meal. Not really, the fish are very tiny, but it keeps the kids busy for ages. Do bring some water shoes though, to protect your feet from all the pebbles. 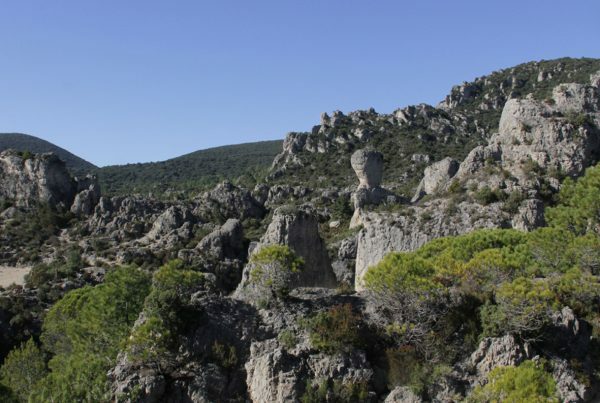 We also love to go to Roquebrun so the kids can play in the naturally formed pool. Because of an old dam, a part of the river is secluded, and this creates a safe swimming spot for the little ones. You have to stay close of course, as the water gets deeper in the middle of the natural pool. Even in summer, the water is crystal clear, and you can see tiny fish going in every direction. We still can’t go to Roquebrun without bringing our fishing nets. The part outside the natural pool gets a bit rough because of the small waterfall next to the old water mill. Only the brave will actually sit in the waterfall or let themselves drift away in the rapid just after the waterfall. I don’t really understand how, as the water is so powerful! We stick to the natural pool and its teeny tiny fish. To finish our perfect day with a nice ice cream. 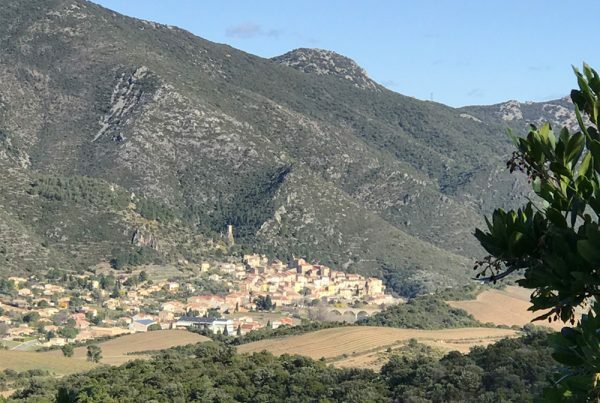 Although Roquebrun is a small village, it is lovely to spend (half) a day at the pebbled beach. Do bring your water shoes if you want to walk comfortably. 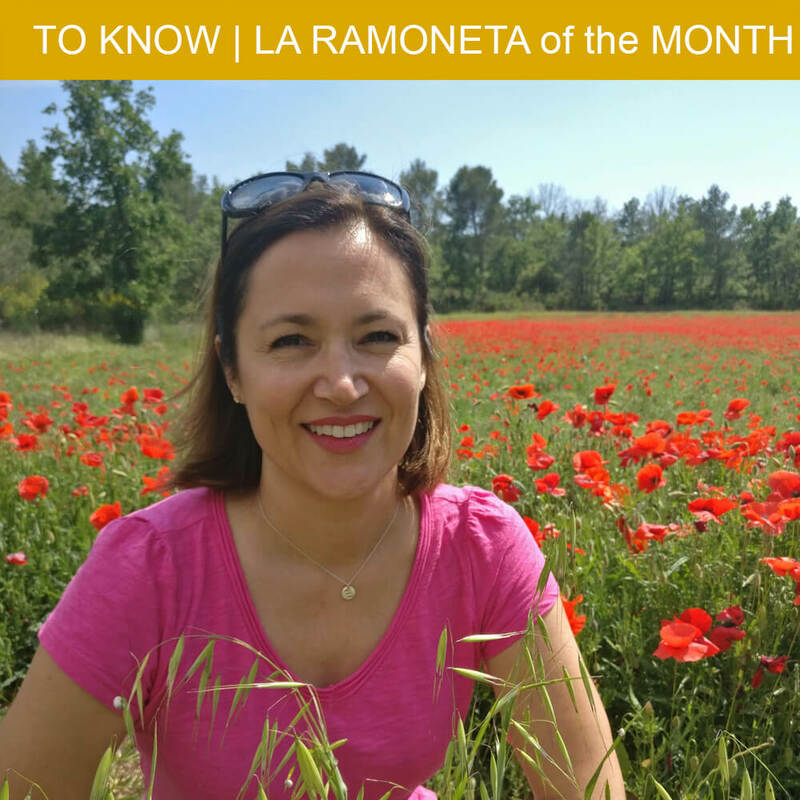 You will find several restaurants; my favourite is Cave Martin, a tapas style restaurant serving local products. They also have a good wine selection. 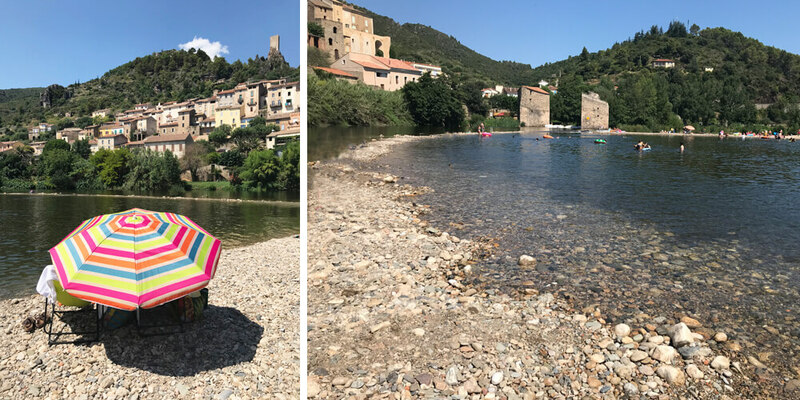 Just before arriving at Roquebrun (coming from Saint-Chinian or Cessenon), turn right before the bridge, and you will find the pebbled beach where you can park your car for 3 euro.